So many people have Paris on their travel wish list. I've been lucky enough to have gone twice, even though I've only been for three days each time. Amazingly, you can see a lot in three days if you aren't crazy about seeing every single site, because you probably won't be able to cram that all in there. Pick a few important sites and then get out in the city and enjoy it. 48 hours may not seem like much, but you're in Paris. Even if you just sat in the park near the Eiffel Tower with a baguette, it's pretty awesome, but let's go over where to go on a budget to make the most of your time and money. Even after a few hours in the Catacombs, you'll find you have most of the day left. Jump on the Metro (make sure to ask at the gift shop where the nearest stop is, since you come out a totally different exit from where you entered) and spend the rest of the day at Versailles. You're probably hungry now after all that walking. You can grab lunch at one of the several dining venues at Versailles or stop at a restaurant between the train station and the chateau. We actually ate at this crazy kitsch place called the Buffalo Grill. It was wild west themed with cowboy paraphernalia and saloon doors, but the steak was incredibly good and super affordable. We loved it. Average entree only €12, which includes a drink. The property is huge and breathtaking. You can take your time exploring the chateau and the grounds. Make sure you've charged up your camera, because you're going to want to take a lot of them. You'll see where and how Marie Antionette lived and learn about the history of the chateau as it became what it is today from a simple hunting lodge. You also want to make sure you grab some macarons at the on-site Laduree. They aren't cheap, but they are so good and a Paris staple. Tickets run €18 and the Paris Pass would get you 20% off at the cafe. Head back to Paris on the train to Montparnasse station. 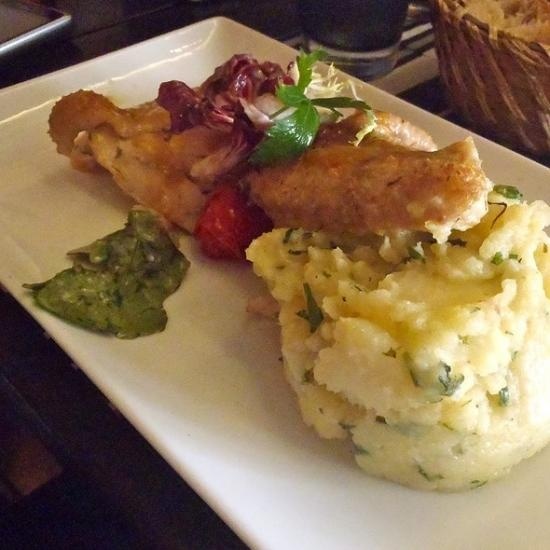 Get a table at L'Assiette for a lovely French meal on a budget. If you aren't too hungry after your big day of walking, go straight to Montparnasse Tower and get something light to eat at the café. Montparnasse gives you a 360-degree view of the city from the outside observation deck, or 270-degrees from the inside viewing through large windows and binoculars. Seeing Paris at night is a totally different experience from the daytime and you'll get some pretty pics, plus learn a lot about Paris in general through interactive games and videos. This lovely view is only €15,00. Head back to your hotel or apartment and get a good night's sleep for tomorrow. Today is going to be a packed day, full of walking and stairs, so make sure to bring your good walking shoes. If you don't grab something to eat before you leave your hotel, then take the Metro to the Eiffel Tower and stop by one of the several food carts for a coffee or hot chocolate and pastry. Since the tower opens early in the day, this'll give you both a great chance to see the city as it wakes up and skip those crazy long lines of the afternoon. That means you can get all your photos in before the crowds make it difficult to get clear shots. Save time by buying your tickets online. Adults are €15,50. Once you've romanticized your morning at the Eiffel Tower, your next stop is going to be Notre Dame. The lines here can get pretty long, too, but even so they seem to move fairly quickly and it's a great place to people watch. Beware of the peddlers trying to sell you cheap trinkets, unless you really need a bag of cheesy keychains. If they're open, you can climb the towers to see the gargoyles up close. It's 387 steps to the top. You might want to make a purchase at the gift shop, which actually has some very well made and unique items that make fantastic gifts and souvenirs. Admission is just €8,50. Paris is full of food carts and small cafés. Right down the street from Notre Dame, across from those fun book stalls along the Seine, are little alleys packed with eateries and shops. now, the shops are kind of a tourist trap, but the food stalls are gold. You can get sandwiches, pizza, hot dogs or crepes. I'm quite a fan of the crepes made to order, but there's a huge selection of food depending on your tastes that day. Two can eat for around €15. Now that you've fueled up and have more energy to continue your day, you're going to want to make your way over to the Champs-Élysées, which is always busy and lined with trendy stores and restaurants. At the western end is the stunning Arc de Triomphe. Now, you could just check it out from down the street, or you could go inside (through a tunnel that takes you under the busy street) and hike up to the top for another amazing view of the city. The steps are steep, and seem like they go on forever, but don't worry. It's totally worth it. There are small alcoves on the way up you can step into if you need to catch your breath. All this exercise can be yours for €9.50. Now, I know anyone else would probably suggest you head to the Louvre, but the lines there can be super long and your visit may be disappointing due to the crowds making it almost impossible to actually get near the art. Other museums also have long lines and may take hours to get into, and a lot of the art is something you can see online. If you're like me and don't really understand much modern art and can't stomach standing in line for three hours to see a Monet, then the Centre Pompidou is for you, plus it's one of the only museums that's open past 6pm, so you can fit it into your schedule anytime. Entry to the main museum is €13.00. No matter how long you stay at the museum, you can take advantage of those Parisian late dinner hours. Because you'll find yourself in a not-so-touristy area there are lots of local restaurants that serve delicious French food that isn't a rip-off. Make a reservation at Le Brise-Miche (you can do it on your phone, because the Pompidou has free WiFi). I'd say this will be your splurge meal, but the prices are really reasonable. Entreés cost an average of €16,00. 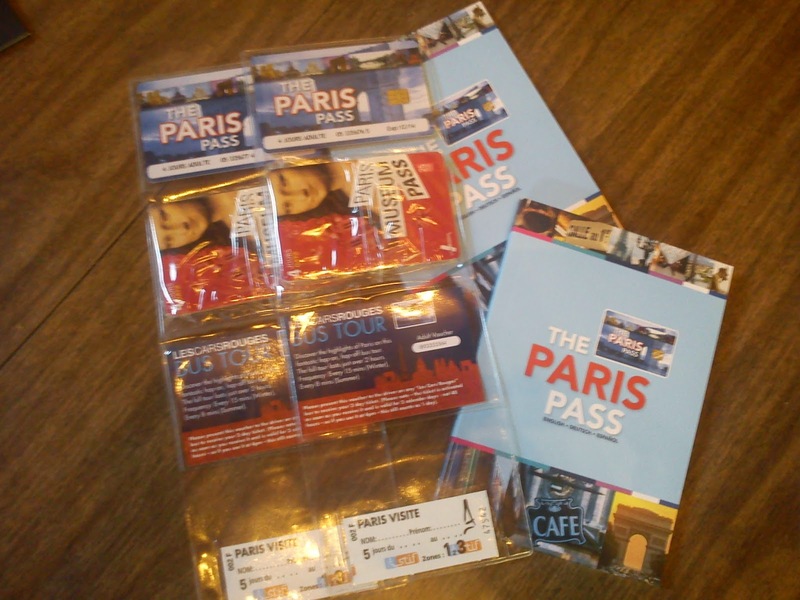 We saved money on our Paris trip with the Paris Pass. A 2-day pass is €122, but it includes entry to dozens of attractions, gives you discounts on others, plus you can use the hop-on hop-off bus (a €30 value) both days, sneak in an hour boat ride down the Seine (€13 value) and it includes all Metro rides within zones 1-3 (you'll only have to pay extra to come back from Versailles). The pass for the Metro was definitely invaluable. If you do everything on this list, you'll spend €149pp + transportation + pastries. If you buy the Paris Pass, you'll have access to extra activities and can swap out things you'd like to do more and you'll spend €191pp + pastries. 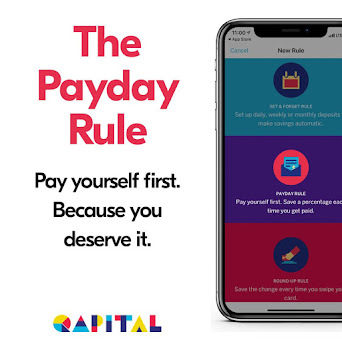 This year the Euro is on par with the Dollar, so your real cost will be very close to this, making your two days less than €400/$500 for two travelers. Have you ever been to Paris? If so, what are your must-see attractions in the city?